Over the past few years, I’ve had the opportunity to speak with a variety of companies about their content marketing efforts and have noticed a handful of recurring issues that usually signal they could benefit from a content marketing consultant’s help. No matter whether you are just getting started in content marketing or you have a well-established program in place, if any of the statements below apply to you, you might consider hiring a content marketing consultant to help you out. It’s easy enough to create some content, slap it up on your website, and send out a few tweets to promote it. However, if you want to build a content marketing program that drives real business results, you need a framework that aligns all of the tactics you are using into a cohesive strategy. A good strategy will guide you so that you are creating and delivering the right content at the right time to influence your target audience and get them to convert. We’ve all gotten so caught up in our work at one time or another, that we find it difficult to take a step back and analyze what we’re actually doing. No matter whether your content marketing is a one-person show or supported by a team of many, it’s always a good idea to get some outside perspective about what you’re doing and to validate whether or not it makes sense. A knowledgeable consultant can also bring fresh enthusiasm to your program by brainstorming new ideas and identifying new opportunities — a task that’s particularly challenging when you’re neck deep in the day-to-day work. Just because you invest time and money into your content marketing program doesn’t meant that you’ll get the results that you want. It could be that you lack focus and are spreading yourself too thin, or that you’re just focused on the wrong things. Maybe you’re doing all of the right things, but just don’t have the best practices to make them really count. A good consultant can assess what you’re doing and help you make whatever adjustments are necessary to get on track. For some reason, many marketers seem reluctant to apply a robust, analytical approach to measuring their content marketing program. A good content marketing consultant will not only help you identify what metrics you should be measuring (with so many, it’s important to concentrate on the ones that actually matter), but also give you a framework for capturing and analyzing those metrics. With a good content marketing dashboard in place, you can not only report back to management with the data they care about, but also make informed decisions about how to evolve your content strategy over time. Sometimes content marketing can be a tough sell to folks who are accustomed to more traditional forms of marketing. No matter how well respected you are in your organization, having an outside expert reinforce why you should be investing in content marketing can add additional credibility to what you are trying to communicate. A consultant can help you articulate the value of content marketing in a way that will help you to sell it to your stakeholders. 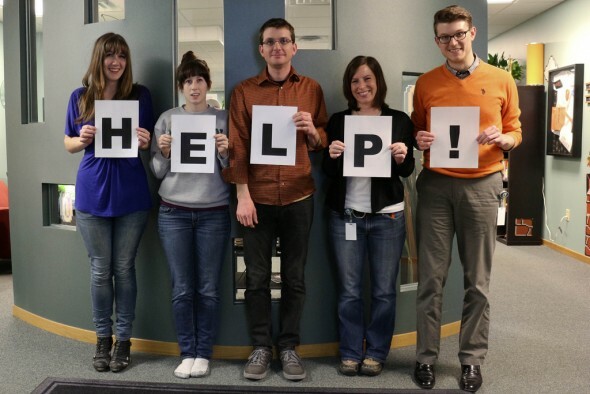 Not every company is prepared to add headcount to support their content marketing effort. Sometimes a more cost-effective way to either get your program off the ground or to take it to the next level, is to work with a consultant on specific projects. Even just an analysis of your program and some coaching on how to improve can be incredibly valuable. Decide if hiring a content marketing consultant makes sense for you. If it does, the next step is figuring out what to look for in one. I’ll cover that in one of my upcoming posts. ← Is Thought Leadership Just Another Buzzword? Great post! Re: #4, which content marketing dashboard do you recommend? Hi Lana, thanks for checking out the post. I actually recommend creating your own dashboard using just a plain old Excel spreadsheet to start. Track the metrics that matter most to you over time and look for trends that you can use not just to demonstrate ROI but also to gain insights into your program.